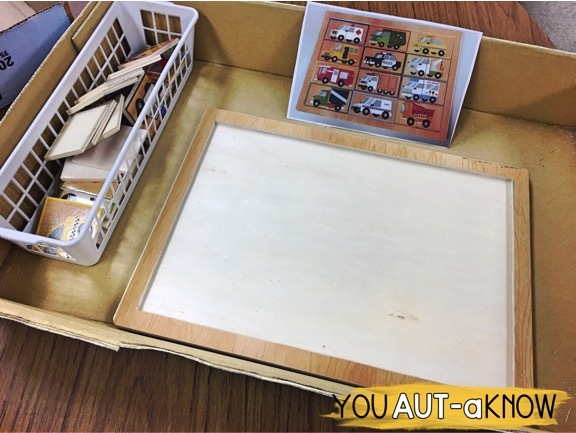 Do you love using Task Boxes in your classroom? I know I do and these Task Boxes we are working with in January are seriously everything! My students are loving them and I'm loving them, too. 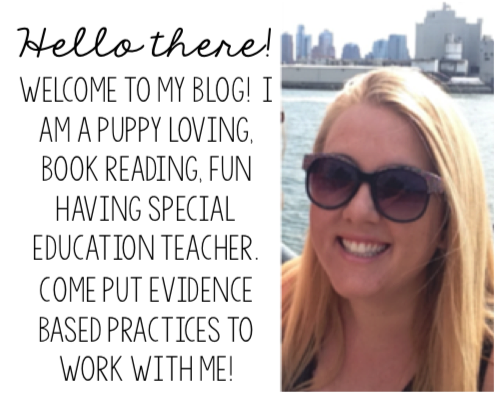 Come take a peek at what we're up to in our classroom this month! 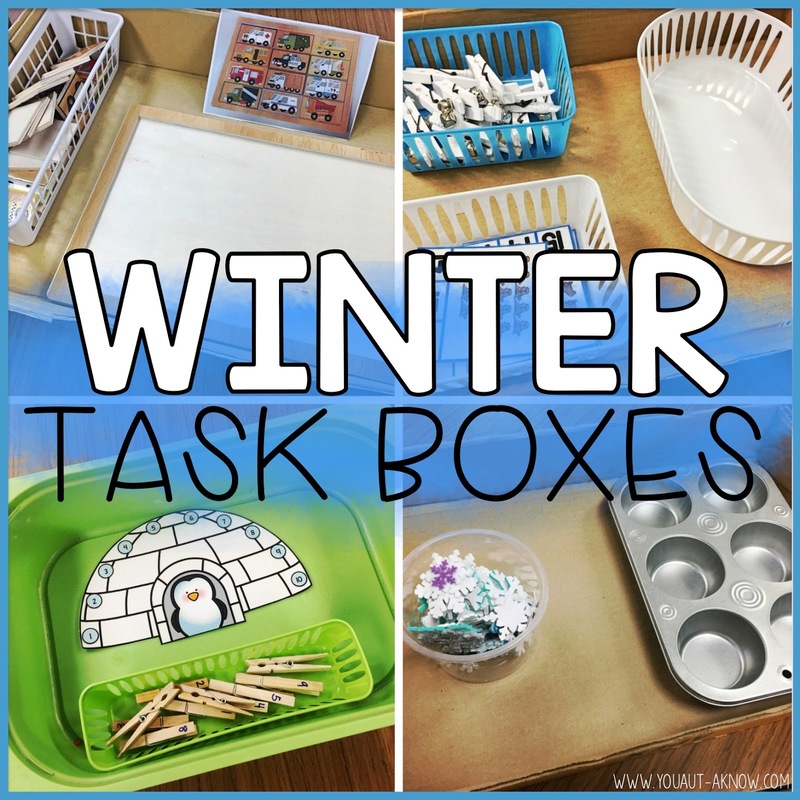 I know we don't get any snow here in California, but we are absolutely fascinated by it, so making our task boxes snow and cold themed were a must in our classroom. 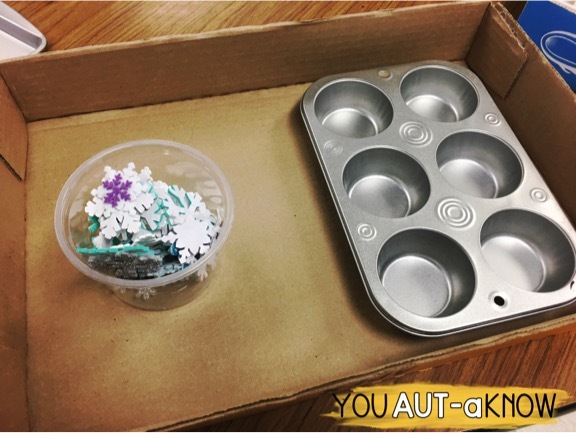 We love Erin from Creating and Teaching's Cookie Tray tasks. They are a great morning task in our classroom. And these snowballs are definitely a class favorite. 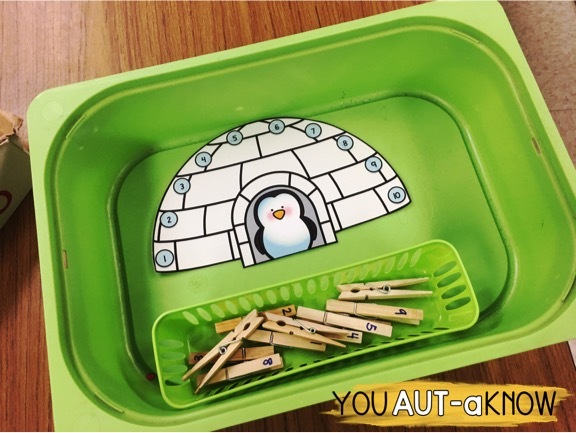 We are also suckers for Teaching Special Thinkers clothespins tasks in our classroom. First, aren't the absolutely adorable? Second, my students don't know they are getting fine motor practice. It's a secret that I'm definitely not telling them! 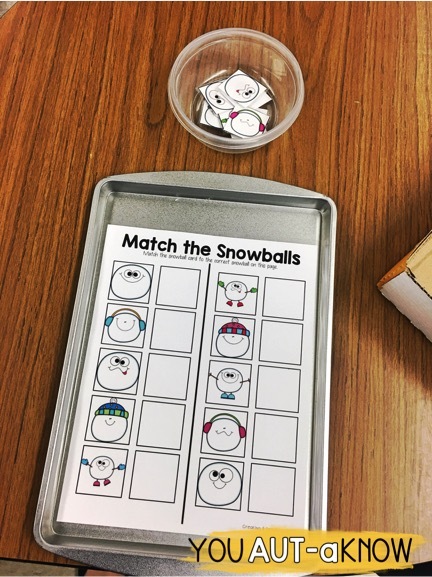 These wonderfully winter task cards are another great score I found on Teachers Pay Teachers from Mrs. Payton. And I scored these super cute clothespins from the Target Dollar Spot after Christmas clearance. I think I ended up paying like 25 cents per pack! My students love the little jingle bells on the end. 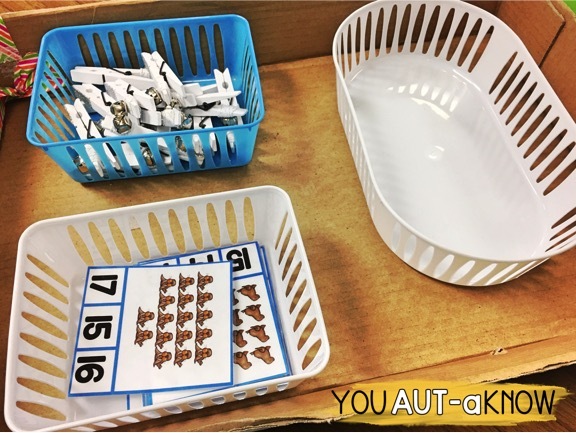 This sorting task is another classroom favorite. I just use a muffin tin I got from the Dollar Tree and some felt snowflakes I snagged from Michael's at the end of last winter. Sometime I like to identify how my students need to sort items, but this month I decided to let them determine how to sort the items. It's interesting to watch. Some students will sort by color, size, or identical snowflakes. Ok, I'm not lying to you when I tell you this is absolutely my students favorite task this month and it was seriously the EASIEST! I found this adorable puzzle in the Target Dollar Spot for $3. As soon as I unwrapped it I snapped a picture and printed it out for a visual reference. My students love putting together the vehicles. It's definitely our favorite task. What tasks are you rocking in your classroom this month? Drop me a comment and let me know! I love the idea of task boxes, and I hope I can make some of my own soon! Thanks for the idea!